One of the key elements to dog ownership and parenting is to keep your pup active and happy. Not all dogs are going to be bouncing off the walls and chasing balls, though there are times when every dog wants and needs to get out and be active. In most situations, we take our dogs out for walks and even play a game of fetch at the park. But is that enough for them? One of the first questions every owner should ask themselves is: What breed is your dog? All dogs need to experience an active lifestyle, but those who enjoy the company of working, herding, hound, or terrier breeds will notice they are often very active and require a lot of attention, which you must be ready to deliver. This is one of the most important things to consider when you adopt a new pup into your home, since your lifestyle may not mesh well with the activity levels your dog needs to stay healthy and happy. Ask yourself a few questions about your dog’s personality as well, since breed won’t always determine how much activity your dog needs. Are they active and attentive to you? Are they confident about exploring new things? Their present weight can also play a big part in their activity levels as well. Are they getting a little pudgy around the middle? If you can’t feel their ribs (be sure to account for the fur), they might be putting on a little too much weight. And it doesn’t take much for a dog to become overweight and unhealthy. Weather will play a part in your dog’s activity levels as well, such as cold and heat. Most dogs won’t be active during the hot hours of the day, but when it gets cool and in some cases a light shower falls, you may find your pup eager to get out and enjoy some time exploring in the cooler air. In fact, most dogs, especially long-fur breeds, will want to get outside when conditions are around 60 to 70 degrees, much like we would. So be sure to make the most of the weather and enjoy some activity time together. Also, the age of your dog matters, such as the huge difference between puppies and seniors. Puppies need early stimulation and as much attention as you can offer, while most seniors will simply want to enjoy the comfort of your company, often relaxing and getting their bellies rubbed. How active should your dog be? So, therein lies the real question: How often should your dog be active? All of the mentioned factors will affect their comfort, health, and trainability. Interacting with your dog consistently helps develop a special bond between the both of you. Have you ever noticed your pup rushing out to chase a squirrel or pursue a butterfly through the yard? Many dogs will find these activities irresistible, but they can pose a danger as well, especially when they run off and fail to react to your commands, such as return or stay. The key is to keep up with your dog’s activity demands. Are they regularly stimulated? This applies to both mental and physical challenges to keep them entertained. And don’t assume that your dog isn’t smart, because they are inherently problem solvers. They enjoy puzzles and obstacles that challenge their intelligence just as much as they enjoy a good race against you and their fellow friends out at the park or even around the yard. In fact, many dog owners may have encountered their “escape artist” companions wandering around the neighborhood unexpectedly. This often happens in dogs that have little stimulation or activity where they’re at, which can make the grass on the other side of the fence seem a little more colorful. This is often a sign that they need a lot more attention from you, and there are several forms that you can deliver to keep them settled and happy right where they are. The simplest activity that most owners consider is regular walks. Not only does it give the pup time to address their potty issues, but it offers stimulation of their mind through sights, smells, and interaction that are provided in the environment. It also naturally develops a bond between you and your dog, since the journey is shared together. 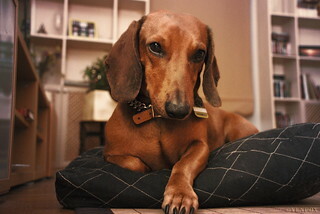 The other is mental stimulation, such as puzzles and goals that can keep your dog active while you’re away. Luckily, the pet toys industry has started to produce more “puzzle” toys for dogs, such as Kong’s bone that can be filled with various treats they need to work to get to. Others can be as simple as putting a Frisbee on the tile floor, making it a challenge for the dog to pick up. You may even hide their toys throughout the home (a bag of tennis balls is cheap and there’s plenty of them), leaving your dog exploring and active while you’re gone. Designing different challenges for your dog will help keep them busy, especially while you’re away at work. 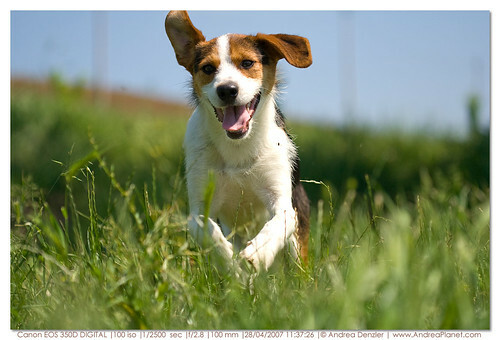 Keeping your dog active is an extremely important part of being a dog owner or parent. Not every dog is going to be as active as the next, and with the busy world we live in, it can be difficult to always be there to keep your dog entertained. But, there are many forms of entertainment that can keep your dog active, even when you aren’t around. So be sure that whether you’re here or there, your pup stays happy and active so they can get the best out of their life with you. 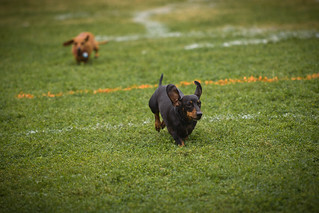 Leave a comment on How Active is Your Dog?